Mark Newbound’s latest film dwells on the poetry of repetition in Jane Sawyer’s ceramic production. Jane is an accomplished artist who produces unique pieces for exhibition, but she also takes pride in the pottery she produces for everyday use. When Mark asked to film me making something from start to finish I decided on a humble cup that I make in multiple numbers rather than a single more expressive piece. I wanted to somehow communicate the meditative flow that happens when I get in the zone of repetitious work. I think most people feel it’s somehow demeaning to humanity to make something repeatedly, but I feel the opposite. Designing and learning the choreography to make a particular form is just the start. But to make it repeatedly allows one to tweak the finest details and therefore to imbue it with character, signature and breath. I didn’t realise that Mark would actually stay and film the whole batch of 50 cups! I expected him to just film two or three. (He must have had a lot to edit out!) The whole process made me think about the secret things that would only be noticed by other potters: the tools I use, the way I glaze, etc. One thing I wanted to convey was the ease of the electric kiln—so frowned upon by some potters as not “real” fire. But now with green, clean energy electric kilns are probably the most sensible, especially for an urban potter. It was a strange experience to be filmed in my studio where I am usually alone, belting out a song to music or the radio blaring in the background. Mark wanted just the sounds of the making to come through—a good decision! 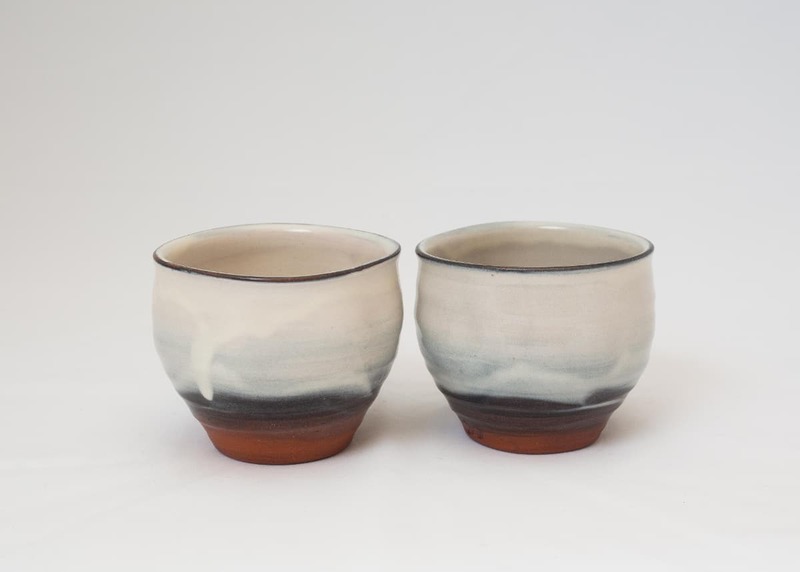 Jane told me she mostly does one-off ceramic art pieces now, but she chose to make a series of cups for the film because it took her back to the roots of her practice, when she made dozens of cups day after day. She said that the repetition puts her in a meditative state of mind and is a pleasant thing, something I wouldn’t have thought. The moment when she drew up the first cup shape from the lump of clay really struck me. I’m used to it now, as I’m sure she is, because I’ve seen the footage so often. But on seeing it for the first time this act seems quite remarkable. Jane Sawyer established Slow Clay, which she continues to operate as a private school for ceramics.